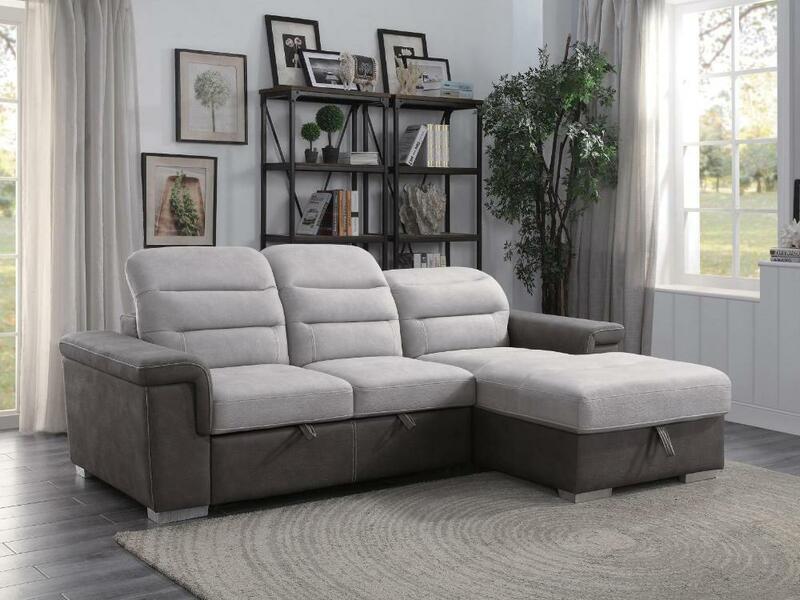 The contemporary look of the Alfio Collection is enhanced with extraordinary function creating storage and sleep space within your living room. 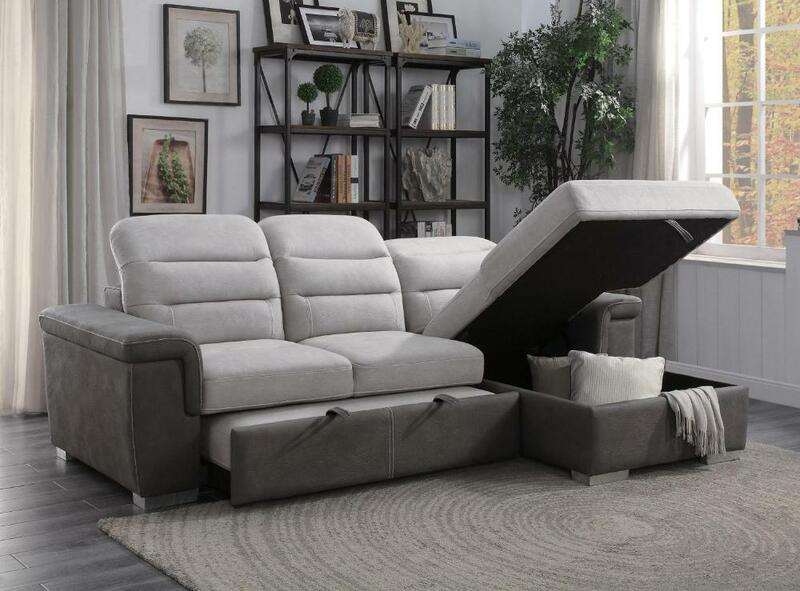 Conveniently stored beneath the sofa is a pull-out trundle that rises to create a bed while the top of the attached chaise opens to reveal ample storage space. 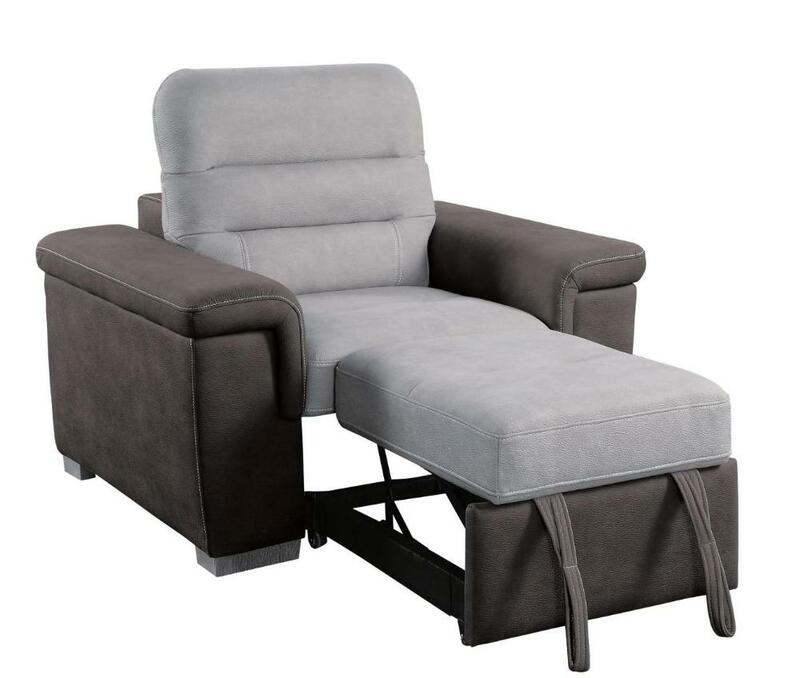 The available coordinating chair features a pull-out ottoman. 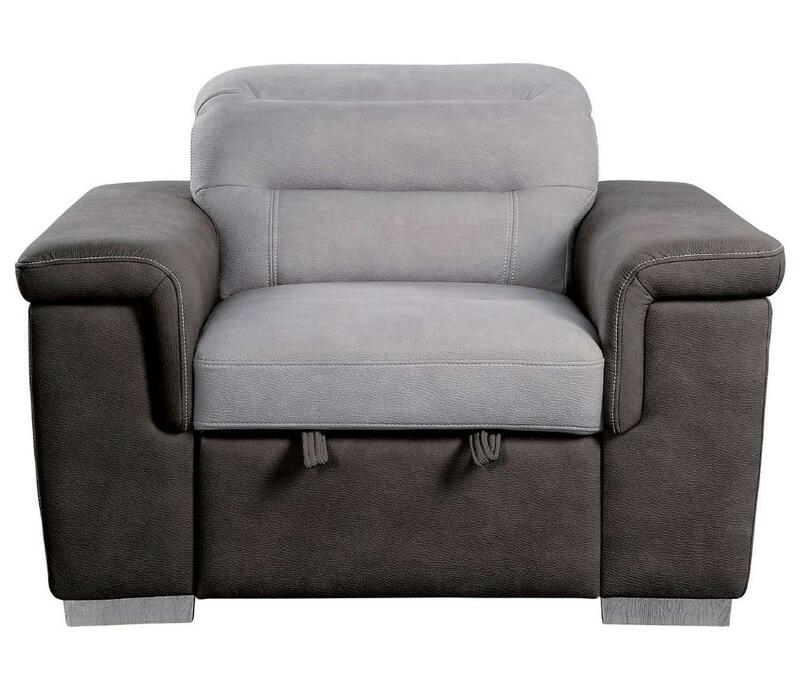 The available fabrics: blue or two-tone grey, adjustable headrests and the silver colored feet, further the modern look and functionality of this unique seating collection. 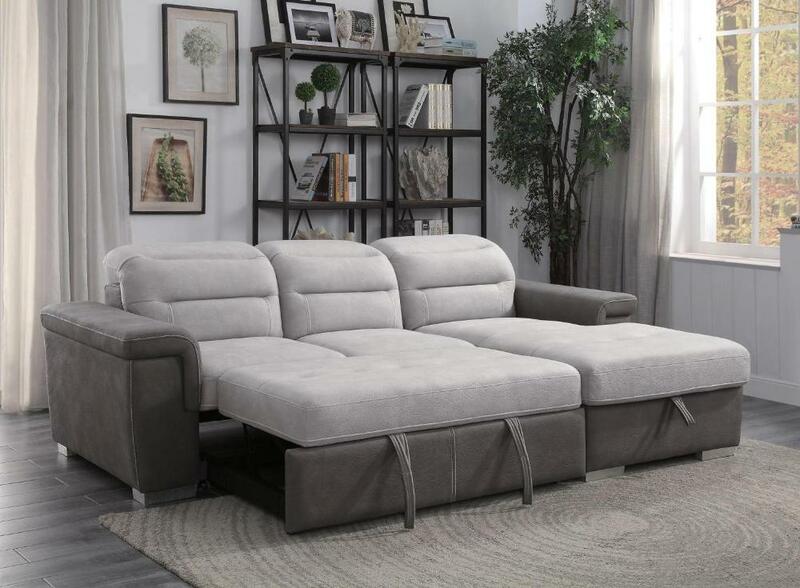 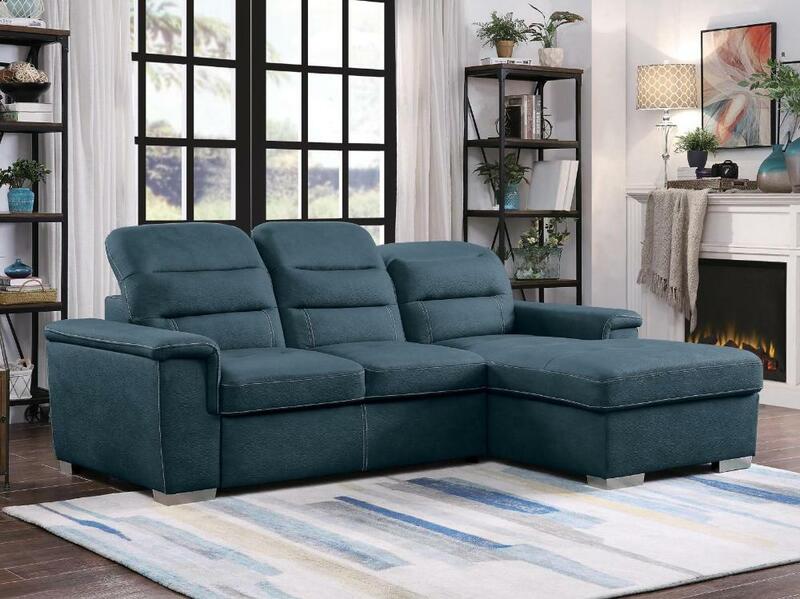 FEATURES: Blue / Dark / Light Gray Color ~ Contemporary Style ~ 100% Polyester Fabric Cover ~ Adjustable Headrests ~ Sleep / Storage Convenience ~ Chair with Pull-Out Ottoman Optional.